Each club has its own culture, whether when it comes to the choice of the official mascot or with traditions developed throughout the years. 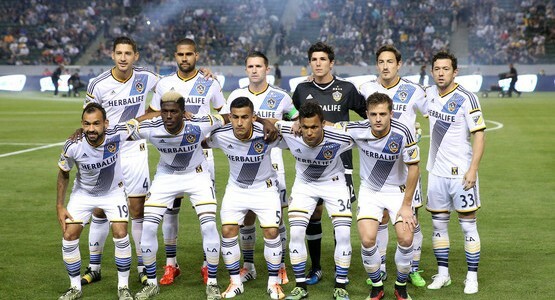 The Los Angeles Galaxy team falls is no exception to this. Cozmo is the official Galaxy mascot. The previous mascot was named Twizzle and looked quite similar to Cozmo with the exception its form was more humanoid. Both mascots’ appearance are inspired by the outer space. Twizzle used to wear a spaceman’s cape and helmet. The official cheerleaders of the team is The Galaxy Star Squad. The squad often takes parts in events hosted by the team such as autograph sessions. They are also most commonly seen around stadium during games cheering for the team and giving away scarves. In order to promote a festive and vibrant ambiance in the StubHub Center for the Galaxy, the Angel City Brigade was established. They generally sit in section 121 of the General Admission area. This riot squad was established following a defeat in the 2001 MLS Cup. Former keeper Kevin Hartman had requested a squad of Galaxy fans to join their forces by opening day of 2002 in a supporter group consisting of 100 people. Their reward for successfully doing so was a keg of beer. The squad can be found in sections 137 to 138. The initial and original group of supporters of the team were called the Galaxians. This was established in 1996 during the team’s first major League play. They are located in section 122 close to Angel City Brigade.